Many factors can reflect poorly on your credit trustworthiness, including at least one that is not your fault: identity theft. Identity thieves can open new accounts in your name, accrue significant debt, and, of course, fail to pay back these debts. 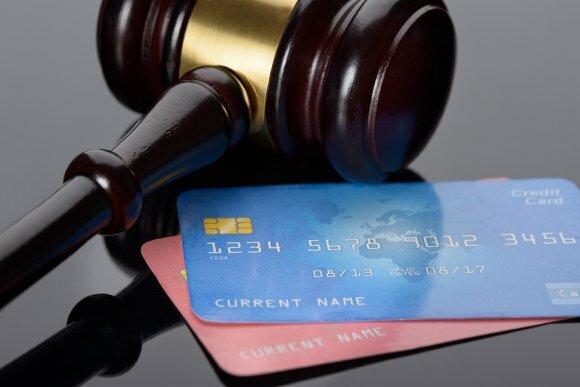 Since it can be difficult to fix your credit score by yourself, it is advisable to seek counsel from a credit lawyer in Fairfax if you have been the victim of identity theft. A credit lawyer at a consumer credit law firm can advise you and help you restore your credit history. Aside from identity theft, there are four main things that can adversely affect your credit score. You can hear about them by watching this video, which features a personal finance reporter. She explains the two most significant problems for a person’s credit score and debunks a common myth regarding closing your credit card accounts. Your credit is critical for your personal financial health, yet many people still believe common misconceptions about credit scores and credit reporting. Unless you have recently visited a consumer credit law firm in Fairfax to discuss identity theft or inaccurate credit reporting with a credit lawyer, then it may be time to learn a little more about credit reporting. It is commonly thought that any type of credit inquiry will adversely affect a person’s credit score. In fact, there is no impact on a person’s credit history when he or she checks his or her own credit. 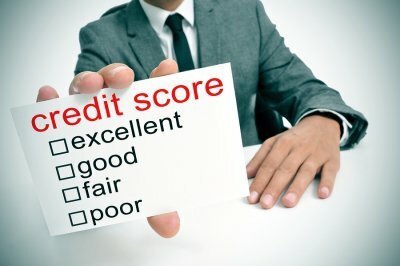 This is a type of “soft inquiry.” A credit report lawyer at a consumer credit law firm is likely to recommend that you check your credit reports frequently for signs of identity theft and erroneous information, since these two issues can indeed have a negative impact on your credit. On the other hand, when you apply for a loan or other line of credit, this is known as a “hard inquiry” and it can affect your credit score. The effect can be negligible. You can shop around for similar type loans by applying for credit multiple times within a period of a few weeks for the same types of credit. However, many different applications for many different types of credit may adversely affect your credit score. Some scoring models recognize these as similar applications (like a car loan) and treat them as one inquiry, but others may not. 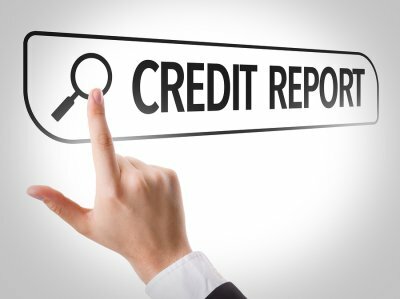 Another common myth about credit reporting is that negative information is automatically removed from a person’s credit history once that account has been paid in full. In fact, paying off a delinquent account should mean that the account will be listed as “paid.” However, it will remain on the credit history for a set period of time. Collections accounts, for instance, typically remain on a person’s credit history for seven years. If you have paid or settled a collection item, you will have an inaccurate credit report if the account is not actually marked as paid or settled on your credit report. If you do not pay the account in full and the creditor agrees to settle the debt for a lesser amount that will negatively affect your credit score as well. If you have old credit cards and similar accounts, you might think that closing those accounts would help boost your credit score. Actually, doing this could very well reduce your credit score significantly. This is because one factor that goes into calculating your credit score is the amount of debt you carry relative to your available credit. In other words, if you have two credit cards, each with a $3,000 limit and you close one of them, you will reduce your available credit limit by $3,000 or 50 percent, which could affect your credit utilization ratio. You are protected from abusive debt collection practices and related inaccurate credit report items under the Fair Debt Collection Practices Act and the Fair Credit Reporting Act in Fairfax. Unfortunately, this does not mean that you are guaranteed to never become the target of these abusive debt collectors. It is important to fully understand your debt collection and credit report rights and how you can best exercise these rights. For help, you can rely on a credit lawyer. Credit lawyers strongly advise clients against paying a debt that they do not owe. If you are not sure whether you owe the debt, you should request documentation of the amount that you owe, who was the original creditor, and how the debt collector determined the amount owed. 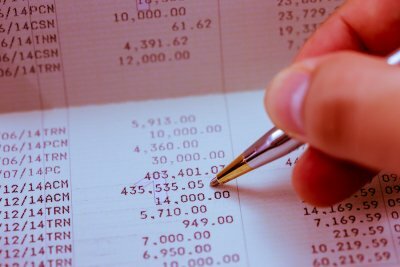 Paying a debt that is not yours makes it difficult to dispute at a later date that the account should not be on your credit file because your payment can be inferred as an admission that the debt is yours. 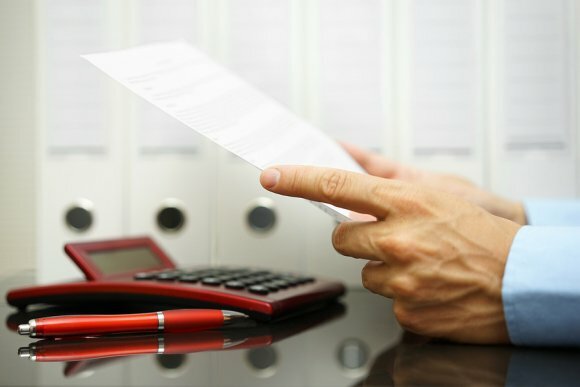 By law, a debt collector is required to tell you the name of the creditor, amount of the debt, and how you can dispute the debt or request verification. Within 30 days of being contacted, you should send a letter to the debt collection agency requesting that the agency validate the debt. Make sure to date and sign the letter, and make a copy for your records before mailing it with a return receipt requested. Keep the receipt for your records. Debt collectors are required to cease collections activities until they fully address your verification request. After requesting proof of the debt, you should obtain all three of your credit reports. Check for signs of fraudulent activity, such as accounts that you did not open or loan applications that you did not initiate. If you find any erroneous information, you should file a credit report dispute promptly. You might also contact a credit lawyer for help clearing your name if you have been the victim of identity theft. There are many circumstances in which it may be wise to file a complaint with the help of your credit lawyer. You can file a complaint if the debt collector fails to validate the debt, yet continues its collections activities against you. You could also file a complaint if the debt collector uses abusive language, makes false threats, discloses your personal financial information to third parties, or otherwise violates your rights. With credit scores, a high number is desirable. If your credit score is less than 720, you can expect to pay more in interest over the life of the loan. Or, you may not be approved for a loan at all. It is advisable to check your credit reports and your scores before applying for a loan. If your credit reports contain errors, you may need to contact a credit lawyer who can serve as your consumer advocate. A credit lawyer in Fairfax can help you successfully dispute the erroneous information to restore your credit history. Consult your credit lawyer for information about credit report disputes or watch this brief video for further guidance on credit score ranges. These credit experts discuss some of the factors that can affect the minimum credit score needed for a loan. Are You Eligible for Damages After a Credit Report Error? If you have suffered harm as a result of credit report errors, you may be entitled to seek compensatory damages. Consider talking to a credit lawyer about your situation. For individuals who live in Fairfax and beyond, consulting a consumer advocate is a necessary first step toward recovering damages for financial problems caused by errors. The credit lawyer will need to know if the credit report errors have caused you to be turned down for a loan or mortgage, forced you to pay higher interest rates, or perhaps cost you a job or your security clearance. For many consumers, the financial impact is only the beginning. Many people suffer severe psychological harm as a result of the credit report dispute. Mental stress can manifest in physical symptoms, including debilitating headaches, hair loss, insomnia, and nausea. Credit report errors may even trigger the deterioration of family relationships. Keep track of all the ways your credit report errors have affected you and discuss these problems with your credit lawyer. How Do Public Records Impact Your Credit Score? You may already know that your credit score fluctuates based on various types of financial information. If you have different types of credit accounts, make payments on time and in full, and otherwise manage your credit responsibly, then you are likely to have a good credit score. Certain public records, credit card debt, unpaid accounts, and similar financial issues can lower your credit score. Unfortunately, adverse actions taken against you will remain on your credit reports for a set period of time. However, this does not mean that you do not have any means of improving your credit score. Credit reporting rights for residents of Fairfax include the right to contact a credit lawyer to file a credit report dispute . Advise your credit lawyer if you identify erroneous information on your reports. If you owe federal or state taxes, these debts will not appear on your credit report and will not affect your credit score. By making arrangements to pay off these debts-such as with an installment payment plan-you can avoid further problems. However, if you do not make arrangements to pay the taxes you owe, the IRS may issue a tax lien against you. Tax liens are a matter of public record and they will appear on credit reports. Some credit reporting agencies will remove unpaid tax liens from your credit report after 15 years from the filing date. Even if you pay the debt and the tax lien is released, it will remain in your records for seven years. If your credit reports wrongfully reflect a civil judgment, it is time to visit a law firm specializing in inaccurate credit reports in Fairfax. Civil judgments include judgments from small claims court. For example, if you have unpaid rent and your landlord sues you, the court may issue a judgment against you for the amount you owe. A civil judgment will remain on your credit reports for seven years from the date of entry. You cannot remove it sooner by paying it off sooner, unless of course, the information is inaccurate and you dispute it successfully. Bankruptcy will significantly affect credit scores. Although you can begin restoring your credit score after your bankruptcy discharge, it will remain on your credit history for years . Bankruptcy information is removed 10 years from the date of entry of the order of relief. The Fair Credit Reporting Act entitles every American to a free copy of each their credit reports from the three major credit reporting agencies once every 12 months. At any time, you may choose to purchase additional copies. Residents of the Fairfax area who exercise their credit reporting rights by regularly reviewing their credit reports are likely to come across errors at some point. These errors are sometimes fixable with a credit report dispute. When an error lingers, it is time to contact a credit lawyer to discuss other options. After detecting a credit report error, your first step is to file a dispute with the credit reporting agency. Although the credit bureaus try to make it easy for consumers to file disputes online, it is best to send a dispute package through the mail. Type a formal letter that includes your full name and address, a succinct description of each item you are disputing, and a clear explanation of why the information is inaccurate. Close the letter by requesting that the credit bureau delete or correct the erroneous information. Sign your letter, enclose copies of documents that support your argument, and mail the dispute package return receipt requested. Be sure to maintain good records of all of your correspondence. You may also mail a dispute letter to the creditor associated with the erroneous information. Include a copy of every document you submitted to the credit bureau. Include an additional letter informing the creditor that you are disputing the information with that entity as well. While you may dispute directly with the creditor, you must dispute with the credit reporting agencies in order to trigger many of your credit reporting rights. It can take time for a credit bureau to correct its mistakes. However, if you do not hear back from the credit bureau or the creditor in a timely fashion, consider talking to a credit lawyer. Often, credit bureaus drag their heels when it comes to fixing their mistakes. Having a credit lawyer on your side can encourage the credit bureau to correct the error. Depending on your situation, you might also consider filing a lawsuit. A credit lawyer can help you consider the merits of seeking compensatory damages in court. You may already know that if you have poor credit, you may have difficulty obtaining a car loan, mortgage, or credit card. But did you know that you could also jeopardize your candidacy for a job? Many employers run background credit checks on job candidates. By reviewing a candidate’s financial history, it is thought that employers are better able to weed out candidates who have previously demonstrated irresponsibility or who may be more likely to pilfer from the office petty cash. Unfortunately, many responsible job candidates are at risk of being turned down for a position because of credit report errors. If you have suffered damages of this nature, consider talking to a credit lawyer located near Fairfax. A credit lawyer at a consumer law practice can help you get these mistakes corrected. If you are in the market for a new job and there may be a possibility that potential employers will check your credit history, it may be a good idea to check your credit reports in advance. It can take months to fix credit report errors; staying on top of your financial information is crucial. If you do find errors, consider contacting a credit lawyer for help fixing them. Employers are not allowed to check your credit history without your permission. You will be asked to sign a release form. Of course, you can choose not to sign the release form. However, refusing your permission for a credit check is not likely to lead to a job offer. You should retain copies of all documents that you sign or that you are provided by prospective employers including any application that you complete. If you choose to sign the release form and you already know that your credit history is less than favorable, you could provide an explanation to the hiring manager. For example, you could say that you are currently disputing erroneous information on your credit report and that the information currently available is not an accurate representation of your fiscal responsibility. If the information is accurate, but unfavorable, you could still offer an explanation if you choose. You might say that you have unpaid medical bills due to a family member’s long, unexpected illness, for instance, and you are working to repay these bills. However, it is your choice whether to disclose your financial information to a prospective employer. Under the Fair Credit Reporting Act you have the right to request a copy of your credit report from each of the three major credit reporting bureaus once every 12 months. The annual reports are free of charge. Reviewing one of your free credit reports every three or four months allows you to quickly detect any erroneous information that may adversely affect your credit score and your ability to obtain lines of credit. If you do find an error, you can contact a credit report lawyer in Fairfax to assist you with any inaccurate credit report items. Your credit lawyer can review your credit report dispute letter that you intend to send to the credit bureaus. The dispute letter should clearly identify the erroneous information and concisely explain why it is inaccurate. It should state that the inaccurate information should be removed or corrected. 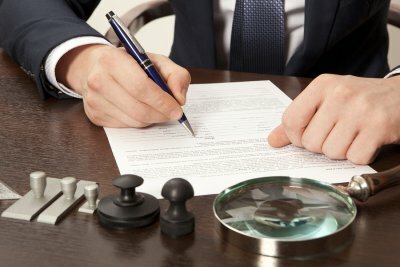 A credit report attorney will recommend that the dispute letter is accompanied by all necessary documentation to support your claim. For example, it may be a good idea to enclose copies of your credit report, account statements, or receipts. Do not send original documents. Your credit lawyer will advise you to mail the dispute letter via certified mail, return receipt requested. Be sure to sign your dispute letter and keep a copy of the dispute letter for your records. The furnisher is the creditor or other entity that reported the erroneous information to the credit reporting bureau. You may submit a similar dispute letter to the furnisher with copies of your credit report and supporting documents, but do not fail to send a notice of dispute to the credit reporting agencies as you need to notify them to protect all of your rights. 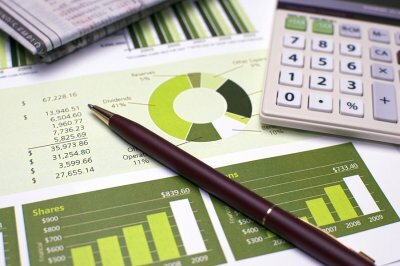 Credit reporting bureaus are required to investigate disputes within a reasonable time period. Usually, this is 30 days. Likewise, the furnisher must investigate the dispute and report its findings to the credit bureau. Sometimes credit reporting agencies send consumers a letter stating that a credit dispute is frivolous, suspicious, or irrelevant. If you receive a letter like that after initiating a credit dispute, you should contact a credit report lawyer immediately. After investigating the information, the credit reporting agency will send you written notice regarding its findings. 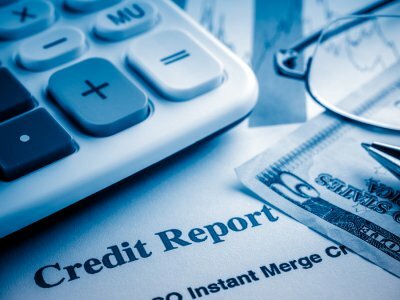 What Happens When Credit Reports Are Merged? There are many different types of credit report errors that can adversely affect your credit history and score. It is not uncommon for a credit report lawyer to discover that a client’s credit report contains information from another person’s file. Occasionally, two separate files may become an inaccurate mixed credit file. This is a serious problem that often requires the intervention of a credit report lawyer. When your credit report is mixed up with that of another person, it is possible that your credit score will be reduced. The other person’s file may contain a history of late payments, defaulted accounts, collection actions, and other information that may jeopardize your own credit score. This can create problems when you need to take out a line of credit, purchase a new car, or become qualified for a mortgage. The most effective way to deal with this problem is to seek the counsel of a credit report lawyer who is well-versed in consumer rights. A Fair Credit Reporting Act law firm can protect your financial interests and your good name.